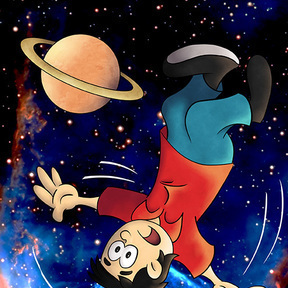 Buy comics, books, and games created by Raytoons! Here you can find limited-edition issues of the Quackup Comic series! This is also the place where you can find comic deals from other publishers as well! Raytoons reflects Raymond's passion for the comics and stories. Our goal (especially with the Quackup series) is to bring to the world a great family-friendly action drama (with a touch of comedy), all wrapped up in a delightfully exciting comic. We also sell comics from various publishers at great prices! We offer secure shipping. We try our best to be quick, accurate, and honest. Money back if not delighted! Raymond Mullikin [does] some great material. Particularly like the art in the introduction! Illustrator/Cartoonist for DC, Dark Horse, Marvel, etc. Cartoonist Raymond Mullikin has been interested in comics since he was a kid. Back in 1992, he first created the character Jonathin Quackup. (He was only 12 at the time.) In 1996 he thought of the name "Raytoons" as the name for all his comic creations. Now, nearly 20 years later, he has collaborated with other artists to bring his Raytoons Company to life. The first series that he is working on for the company is an an ongoing comic book series, called "Jonathin Quackup of the Planet Weralt". Raymond has a very dedicated team for the Jonathin Quackup of the Planet Weralt series. Some are professionals in their field... and all are excellent at their work. I am glad to count them as part of the team.